The short u sound is the sound that the vowel makes in words like hug, sun, and umbrella. Understanding the different sounds that vowels and consonants make is vital to learning how to read. 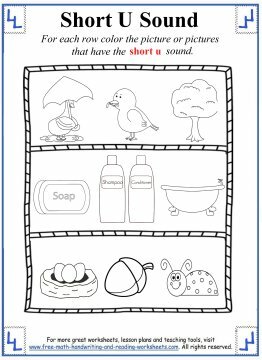 In order to learn these various sounds, I have created worksheets that cover consonants, phonograms, digraphs, as well as long and short vowel sounds. 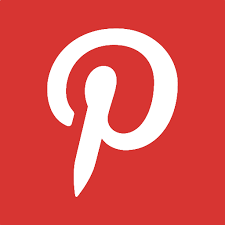 You can find all of these different lessons on the tabs located under "Related Pages" at the bottom of this page. 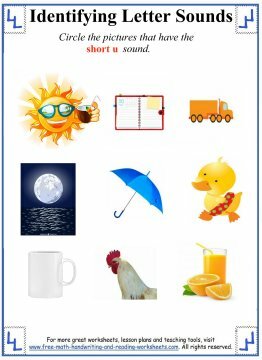 The worksheets presented here will concentrate specifically on the short 'U' vowel sound. 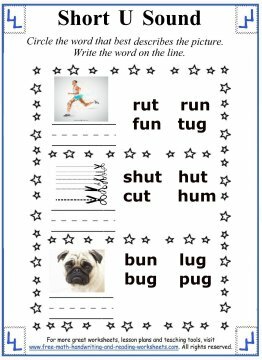 If you've worked your way through the other short vowel worksheets then these will no doubt look familiar to you by now. For the first-timers, here is a quick rundown of the worksheets. 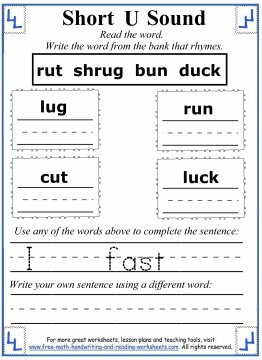 The first couple of worksheets are simple writing tasks that are centered around the short u sound. The second paper is a rhyming task and sentence writing activity. In each box is a word. Each word rhymes with one of the words from the word bank which uses the short 'u' sound. Write the rhyming word on the line. Below that is a sentence that is missing a word. 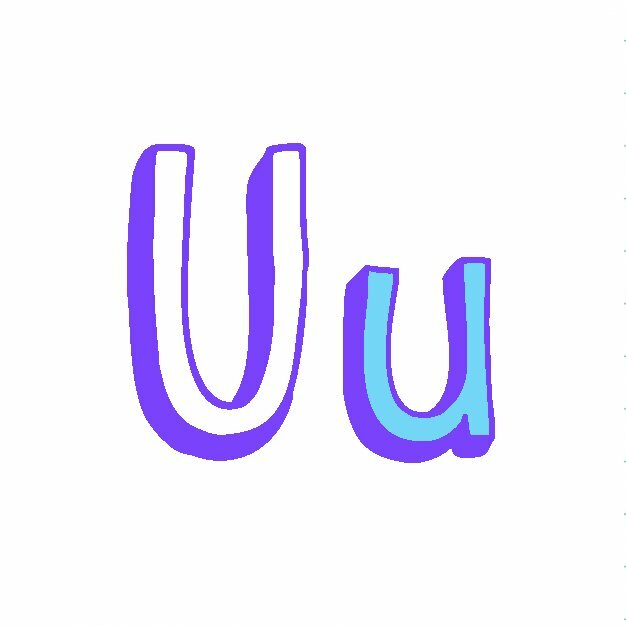 Write the correct word in the space and then have your child create her or his own sentence using another short 'u' word. The third handout has three rows of pictures. For each row, you need to name the objects, then color in the picture that uses the short vowel sound of 'u'. Next is a similar activity. Look at the pictures, name them, and if it uses the correct short vowel 'u' then circle it. The fifth activity sheet has nine pictures on it. Name each item and write the letter 'u' under the pictures that use the short sound of 'u'. The final printable has three pictures on it with four words next to the pictures. Circle the word that best describes the picture and then write the word on the line. 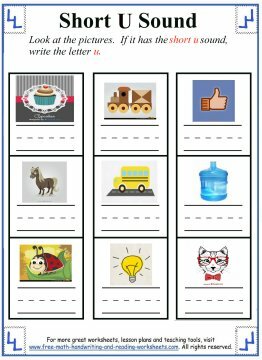 There are plenty more worksheets covering vowels, consonants, and blends. 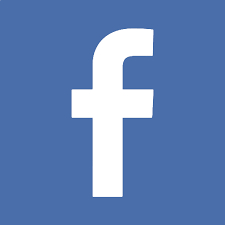 Be sure to visit the pages below and print out your free worksheets!